Contessa Gallery welcomes Maria Svarbova to their roster of critically acclaimed artists! The 2018 Hasselblad Master of the Art Category, Maria’s distinctive style has gained her prestigious recognition in the art world. Her photography departs from traditional portraiture and focuses on experimentation with space, color, and atmosphere. Maria was born in 1988 and currently lives in Slovakia, where she was named one of Forbes 30 under 30. Taking an interest in Socialist era architecture and public spaces, Maria transforms each scene with a modern freshness that highlights the depth and range of her creative palette. The human body throughout her oeuvre is more or less a peripheral afterthought, often portrayed as aloof and demure rather than substantive. Carefully composed figures create thematic, dream-like scenes with ordinary objects. Her images hold a silent tension that think at emergent possibilities under the lilt of clean and smooth surfaces. Maria’s unique work continues to garner international acclaim and is setting new precedents in contemporary photography. 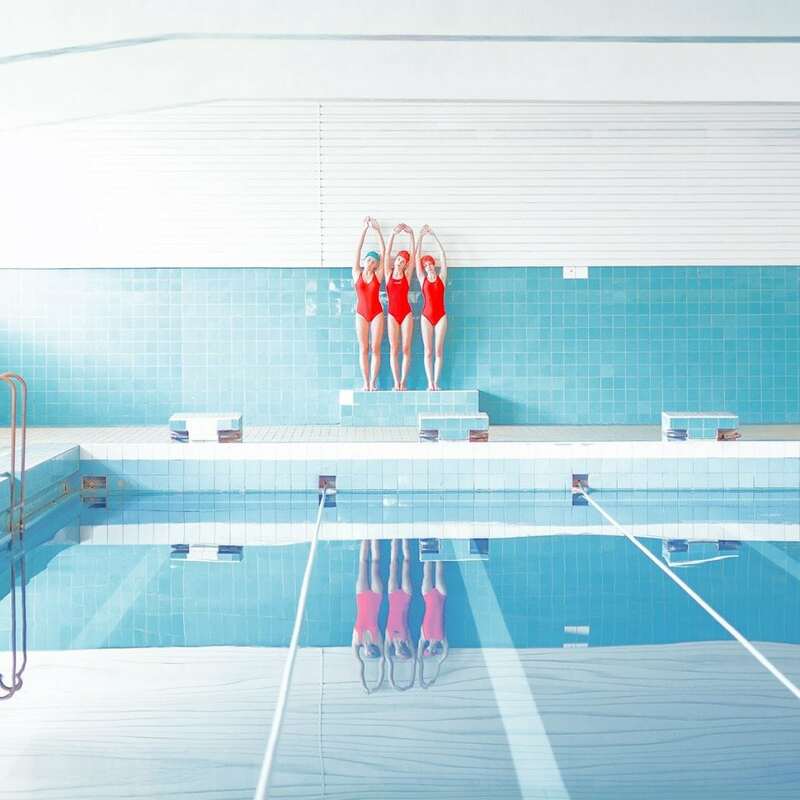 Maria’s largest series to date, In the Swimming Pool, is inspired by her fascination with the geometric beauty of public swimming pools in Slovakia. Her compositions bring a futuristic quality to old, retro spaces. The colours and smooth tones of these photographs create a dream-like atmosphere. The stillness and artificial detachment of the figures relate to the cool, sterile setting and offer the viewer a uniquely pleasurable visual experience.